These delicious rum balls are a fabulous addition to your holiday cookie tray! 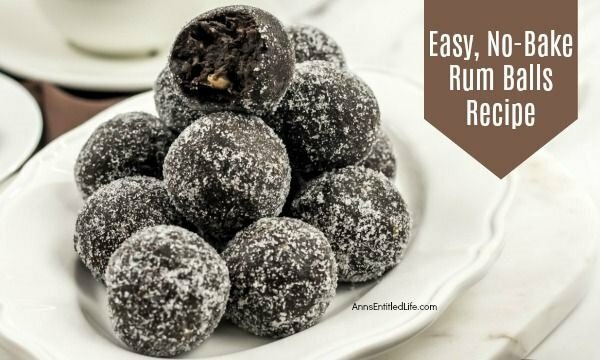 Fast and simple to make, this rum balls recipe is an easy, no-bake treat that friends and family will adore. If you are looking for a great traditional holiday cookie, try these scrumptious little rum balls. 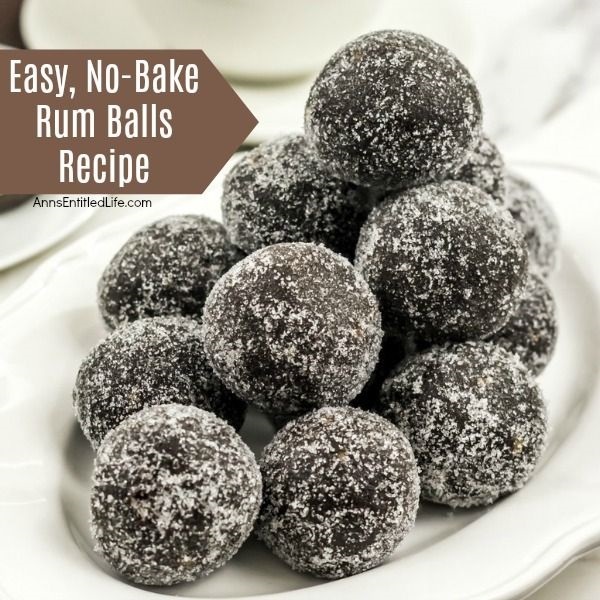 I do not know about you, but I love rum balls! They are so darned tasty. With the holiday season just around the corner, you may be looking for new takes on traditional holiday cookie recipes. 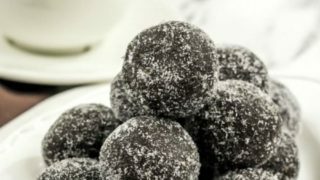 These unique rum balls are easy to make ahead – so no last minute worrying about what to put on the cookie tray – and store very well. 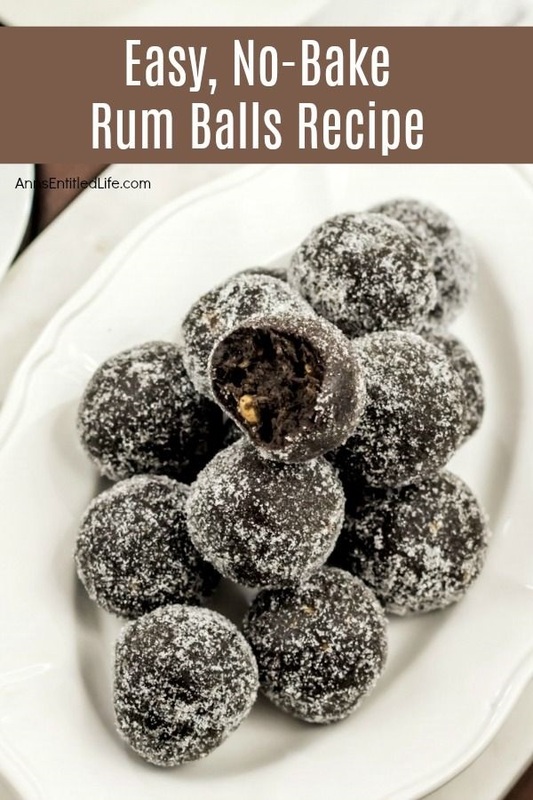 • This rum balls recipe brings a twist to traditional Rum Balls with a version of the old recipe popularized the 1980s! 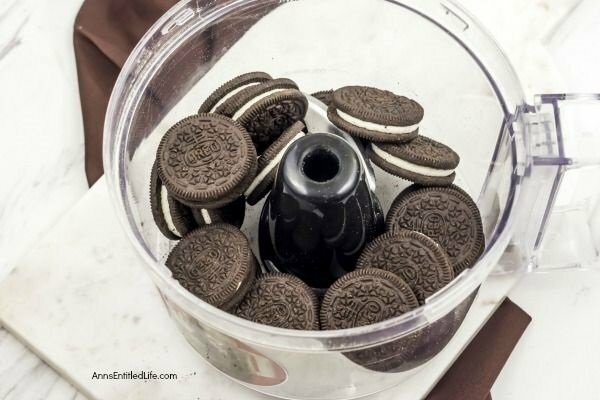 • If you do not have a food processor, you can place the oreos into a double (two bags, one inserted into the other) zipper gallon storage bags. Close most of the end of those zipper bags (leave it a touch open at the end). Now, either roll those cookies until they are finely crushed with a rolling pin, or smack them with a kitchen mallet. • You may substitute brandy or bourbon for the rum if you prefer. • Let set for at least a few hours, for best results, store in a covered container in a coll place for a few days. 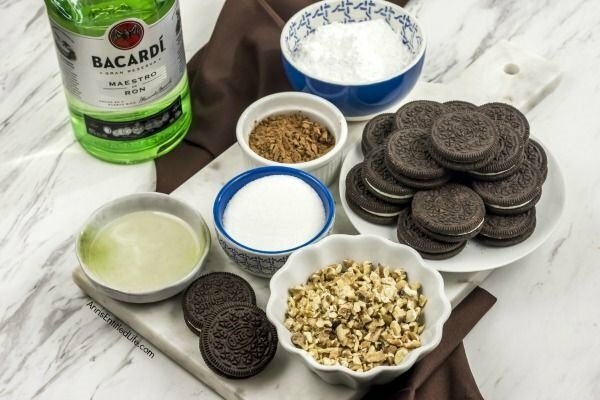 • Place the whole Oreo cookies in food processor and pulse until finely crushed. 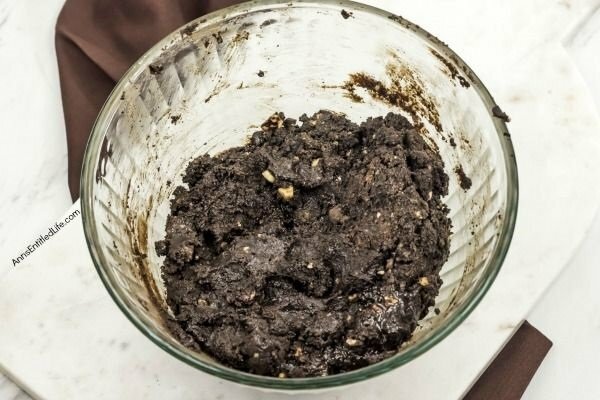 • In a medium bowl, combine Oreo crumbs, ½ cup confectioners sugar, 1 cup finely chopped walnuts and 3 tablespoons of unsweetened cocoa powder. • Blend in 2 tablespoons of corn syrup and 1/3 cup of rum. • Wet your hand hands and shape the rum ball dough into balls. • Roll in decorator or granulated white sugar to coat. • Place on a parchment or wax paper covered baking pan to allow to set-up. • Store covered, in a cool place for several days before serving. • Place whole Oreo cookies in food processor and pulse until finely crushed. 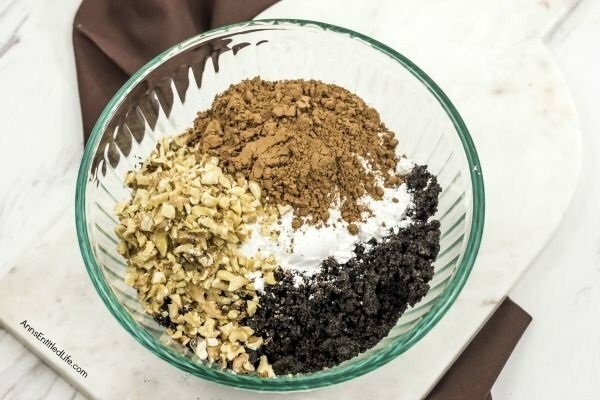 • In a medium bowl, combine Oreo crumbs, confectionery sugar, walnuts and cocoa. • Blend in corn syrup and rum. 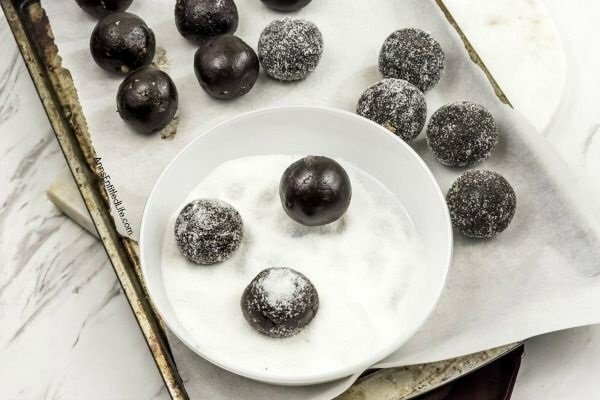 • Wet your hand hands and shape Rum ball dough into balls. 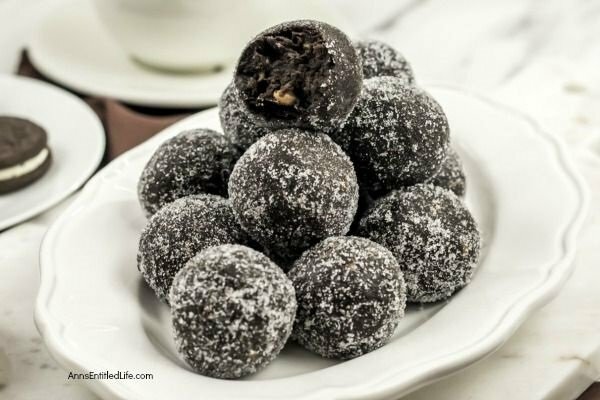 • Chocolate Raspberry Truffle Bites Recipe– These simple to make chocolate truffles come with a fun raspberry surprise inside! A fun addition to your holiday cookie platter, this Chocolate Raspberry Truffle Bites Recipe is truly tasty. 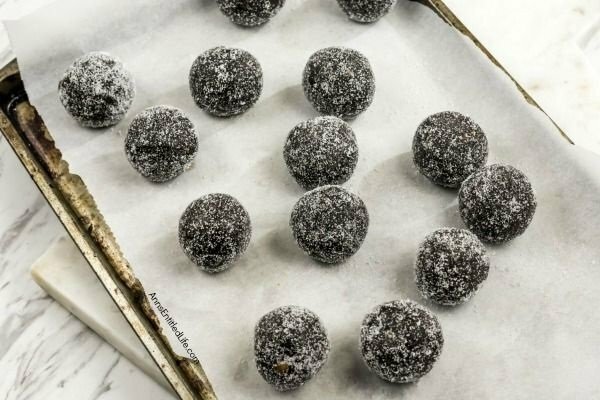 • No Bake Pecan Praline Bourbon Balls Recipe – These crowd pleasing, easy to make No Bake Pecan Praline Bourbon Balls are a great cookie to make when you need a lot of cookies for a party or gathering. These delicious cookies are tasty treats that hold up well in the refrigerator. 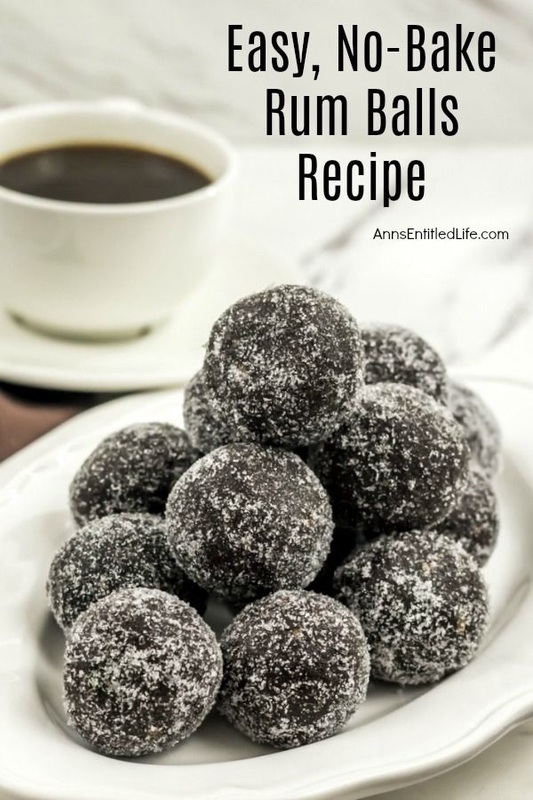 • No Bake Coconut Balls Recipe – It is a cookie! It is a candy! It is two treats in one. This is an easy to make, creamy and delicious no-bake coconut ball recipe with a nutty surprise in the middle. 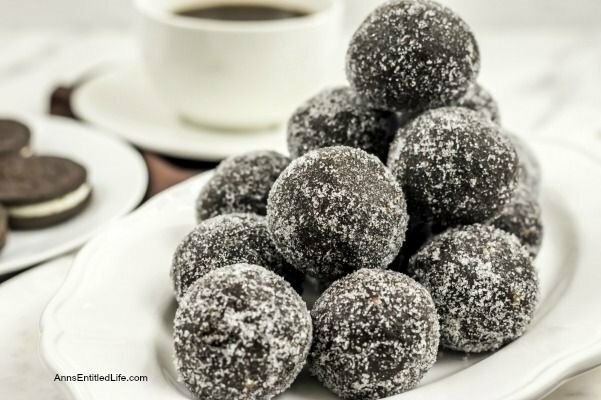 These coconut balls are delightful sweet treat your whole family will enjoy. Yum! We love rum balls. The girls make them every year. I hope you give these a go, Rhonda! Made this today and they were sooooo good. I only used 1/2 the amount of Rum and it was plenty for me. Can’t wait to share them at the Christmas Party. I am so glad you enjoyed them, Rhonda! Rumballs- I had one for doing a cake by scratch in the microwave and then drying it out. Then when I saw your recipe for using Oreo cookies jumped at it. The ironic thing is they were on sale today so bought two packs. They turned out great. Used the decorating candies on mine. Did these for our New years party. The most difficult part was trying to figure out how to work my processor to chop them and the walnuts up. Thank you for posting this. Been years since I last made any.